HOUSTON -- Funeral services are today for former astronaut Gene Cernan, the last person to have walked on the moon. Cernan's family says the funeral will be at St. Martin's Episcopal Church in Houston. A private burial with full military honors is scheduled later in the day at the Texas State Cemetery in Austin. 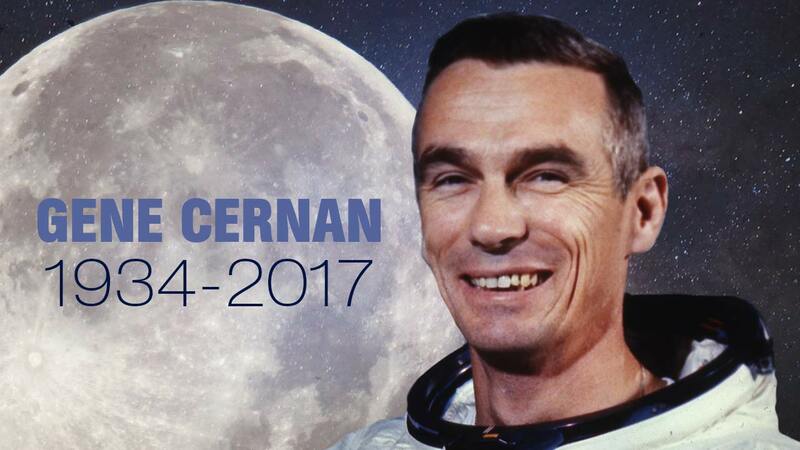 Cernan died January 16 at a Houston hospital of a variety of ailments. He was 82. He commanded NASA's Apollo 17 mission to the moon in December 1972, becoming the last of a dozen men to walk on the moon.